Here is one of the most uplifting greetings in the world. “Good evening, Mr Bown. You are at your usual table.” Of course, context is all. And here the context is one of the greatest restaurants on the planet, an establishment which is revered by lovers of fine food on every continent and a place at which – because of its deserved popularity – it can be fiendishly difficult to secure a reservation. So to be told that I am at my usual table – which is number 5 – is, shall we say, reassuring. It also indicates two important truths: first, that I am a regular visitor to this most wonderful of dining rooms, and second, that the staff know where I like to sit. To be told at The French Laundry that you are at your usual table is therefore a little like being admitted to an order of chivalry or being honoured by your sovereign. Do you think I exaggerate? There are many gourmets who would find no hyperbole here. 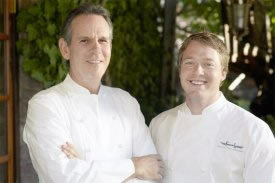 For many of us, to enter The French Laundry is to enter Culinary Heaven. 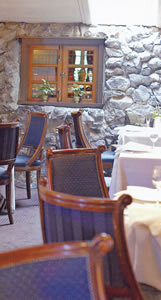 But, even before you go inside, you can tell a lot about The French Laundry. 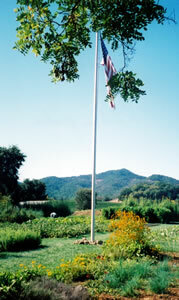 For, on the other side of Washington Street, is a cultivated area with a flagpole. I took a photograph of it for you. 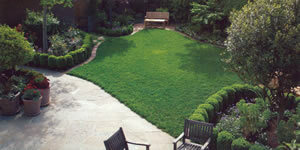 Its three acres comprise perhaps the most valuable vegetable garden in California. It provides about a third of the produce used in the kitchen of the French Laundry by Thomas Keller and his brilliant Chef de Cuisine, Timothy Hollingworth. (I provide you with a photograph of these gentlemen together, and another photograph of Mr Keller on his own.) The point is that nothing is too much trouble when it comes to Mr Keller’s pursuit of perfection. If it means growing his own vegetables on his own land, then he will grow his own vegetables on his own land. 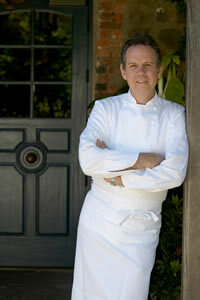 You will understand, I hope, why Thomas Keller is one of my culinary heroes. He is widely – and rightly – acknowledged as one of the best chefs in the world. But he is not only a genius at the stoves. He is also a man full of creativity and original thought. Yountiville is one of the prettiest towns in the Napa Valley. I am happy to wander up and down its flower-bedecked streets. But I am happier still when I am on my way to The French Laundry. The prospect of any restaurant with three Michelin stars pleases me, but this particular dining room has given me so much joy over the years that I now regard it as a friend – an elegant, witty and exquisitely turned-out friend (which, after all, is the best sort). This is partly because the people who look after me here are so charming, and partly because the food and drink on offer are so good that each meal is positively life-enhancing. I should here mention the two ‘captains’, Milton and Benjamin, who took such good care of me on this visit. The latter even took me back to my hotel in a large BMW motor car. The building which houses The French Laundry, opposite the vegetable garden, is discreet. At one time, it was, indeed, a laundry. Two stories of stone and a pretty garden are all we see – although, be assured, a mighty kitchen is tucked away, out of sight. There is a degree of serenity about the place, which I attribute to the professionalism of maitre d’ Lawrence Nadeau and head sommelier Dennis Kelly. At table number five, next to the wall in the downstairs room, I settled myself comfortably, as a spotlight shone onto the white damask and caused the Riedel glasses to sparkle. All around, my well-dressed fellow diners murmured contentedly. (The restaurant insists that there be no jeans, t-shirts, shorts or tennis shoes – and thank goodness for that.) The waiters, smart in their dark suits, arranged French cutlery and replaced the napkins of those who left their places for a moment. 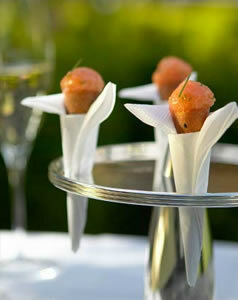 The French Laundry is not in the business of serving breathless meals to those who are in a hurry. Its pace is measured and its plates are numerous. 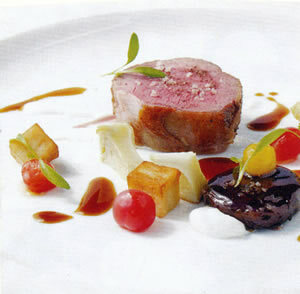 Mr Keller offers two set menus of nine courses ($270): one with meat and fish, and one of vegetables. In fact, I rather lost count of the number of my courses, but I know that the restaurant likes to describe the numerous opening dishes as merely ‘appetizers’. Allow me therefore to resort to the word which Rolls-Royce used to use when anyone was sufficiently vulgar as to enquire about the power output of its motor cars, and say that the number of courses was “adequate”. Lest I gush at too great a length, I will pick out some highlights. In my notes, I always reserve the word ‘superb’ for a dish which is of truly exceptional quality in both its conception and its execution. If a meal has one ‘superb’ dish, it can be regarded as a triumph. Here, I wrote ‘superb’ eight times. Yes, eight of the plates which came to my table were outrageously good. So as not to bore you with superlatives, I will simply list them: an eggshell with custard and a ragoût of Périgord truffles (one of the gems of gastronomy, which I have on every visit), charcoal-grilled Atlantic swordfish with peach, sashimi of Pacific kanpachi with orange, a salad of tomatoes (astonishingly refreshing), gnocchi with black truffles from Australia, sautéed fillet of Mediterranean lubina (a fish similar to sea bass) with broccolini, grilled beef with Yorkshire pudding (the latter an amusing conceit, so typical of Mr Keller) and strawberries and custard. Of these wonders, I was most bowled over by the beef, some of the best I have ever eaten. Its exquisite marbling was a tribute to its producer, Snake River Farms. Oh, and I nearly forgot: coffee and doughnuts. Like the truffled egg, this is one of Mr Keller’s most inspired inventions and one which I could not bear to omit from a meal here. ‘Cinnamon-sugared doughnuts with cappuccino semi-freddo’ is the official description. I defy anyone who likes puddings not to find this one ravishingly delicious. For me, it embodies all the many pleasures of California. A great restaurant must have a great cellar. 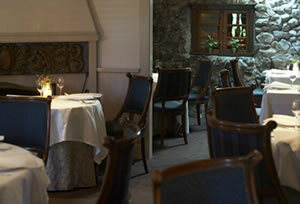 The list at the French Laundry has over a hundred pages, in which you will find 2,500 of the world’s finest bottles. Prices range from $70 for a 2008 Crozes Hermitage (Dom des Lises) to $25,000 for 2005 Romanée-Conti. The following gems caught my eye: 1929 Yquem ($19,000), 1947 Pétrus ($13,200), 1953 Margaux ($5,900), 1959 Mouton Rothschild ($5,900), 1961 Haut Brion ($4,300), 1971 Penfold’s Grange ($3,200), 1997 Ornellaia ($1,830) and 1997 Screaming Eagle ($8,000). The highlights of my own drinking were an oaky white rioja, lovely with the truffle dishes (Lopez de Heredia, Vina Gravonia, 2002), a buttery but beautifully balanced Californian chardonnay (Hudson Vineyards, Carneros, 2009), a Napa Valley meritage of perky tannins and ripe damsons (Araujo, Altagracia, 2009) and an elegant tokaji, which was the perfect foil to the acidity of the strawberries (Disznoko, 6 Puttonyos, 2000). After dinner, I went to the kitchen for a chat with three of the (startlingly young) chefs who had prepared the evening’s masterpieces – Chef de Cuisine Timothy Hollingsworth, Pastry Chef Milton Abel and Sous Chef Jonathan Mizukami. They were in high spirits – as, indeed, they were entitled to be. I supposed that, like actors after a demanding performance of a great play, they were full of adrenalin and energy. 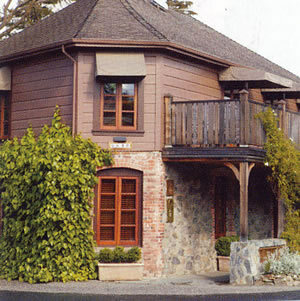 6640 Washington Street (at Creek), Yountville, California 94599, U.S.A.